Do you remember making a wish on a dandelion when you were younger? 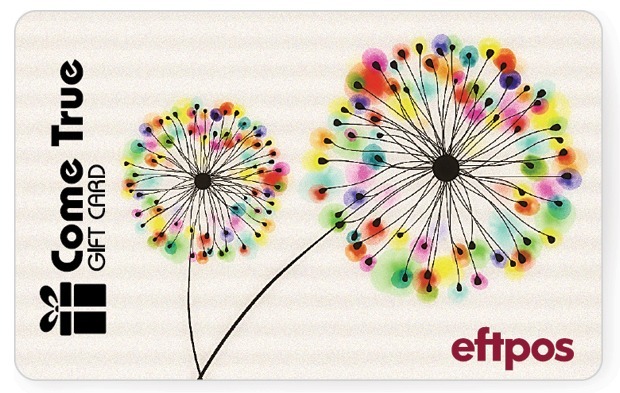 Regardless of whether you still make wishes on dandelions, this eftpos gift card is definitely the reward your recipients have been hoping for. Gifting a bunch of flowers is a lovely gesture. But what about a bunch of dandelions? When they’re the bunch on this card, you can be sure it’ll be appreciated (almost certainly more than a bunch of flowers would be). Every time they see this colourful little card poking up in their wallet, they’re going to be grateful for the gift you’ve given. But remember, you don’t have to stick to just one design for your order! When you’re filling out the enquiry form, just mention the designs you’re interested in. We know that the one card doesn’t work for every recipient, so don’t be afraid to ask for more options.